Things get under way this coming Thursday, May 10th, with 6 opening night kickoff events at various locations throughout the city. As you may know, several of Seattle Beer Week’s organizers and sponsors charter a bus each year, so they can visit every stop on the opening night kickoff tour safely and responsibly. Unless you’re fortunate enough to be on that bus, or to have a designated driver willing to take you to each stop, I do not recommend attempting to hit every stop on opening night. If you can only make a few stops on opening night, I would suggest starting at 3 pm at Full Throttle Bottles in Georgetown for Opening Night Pre-Funk (full disclosure – I work at Full Throttle Bottles). From there, those who will be boarding the opening night bus will take a stroll from Full Throttle down to Georgetown Brewing Company at 4:30 pm for the Official Seattle Beer Week 10 Kickoff, where the Mayor’s proclamation will be read and the first keg of Georgetown’s Citrus Galaxy IPA will be officially tapped. If you’d like to hear the Mayor’s proclamation, then you’ll want to be there. After Georgetown, you’ve got some choices to make. If you want to head to West Seattle, then I suggest going to Beveridge Place Pub for their annual Cask-O-Rama. In fact, if you don’t even want to leave West Seattle for the pre-funk at Full Throttle or official kickoff at Georgetown Brewing, Cask-O-Rama is a great event to relax at while you wait for the opening night bus to arrive a little after 6 pm. After a few more stops at Ounces Taproom & Beer Garden in West Seattle and Brave Horse Tavern in South Lake Union, the opening night tour will conclude at The Pine Box on Capitol Hill, where the bus is scheduled to arrive around 9:30 pm. If you survive opening night, then maybe you can come and join me on Friday the 11th at one of my favorite annual Seattle Beer Week events, the Back In Black Stout Fest at Brouwer’s Cafe. It should be a beautiful, sunny day on the 11th (we hope), but I’ll be spending it indoors where there’ll be a selection of 40+ amazing, deep, dark stouts to choose from. Doors open at 11 am. Blind taste 5 different IPAs and vote for your favorite. The winner will get a dedicated tap handle at Thirsty Hop for one full month. Grab your Hawaiian shirt and flip flops for a a night of juicy IPAs, fruit-infused beers and beer frappes. Holy Mountain is considered by many, including myself, to be one of Seattle’s very best breweries. Come enjoy a night of rare beers from Holy Mountain on tap. Not in a barrel aged Stout mood? Perhaps you’re more of a New England Style IPA fan? In that case, I would recommend heading to Reuben’s Brews for Haze Fest – “A celebration of all things juicy, hoppy and hazy.” They’ll have over a dozen juicy, hazy IPAs on tap for you to enjoy, including some of Reuben’s popular Crush series IPAs. This event is as old as Seattle Beer Week itself. Mount up and ride to Old Stove Brewing, Dexter Avenue Brewhouse, Urban Family Brewing, Obec Brewing, Chuck’s Hop Shop Greenwood and Flying Bike. I’m sorry to be missing this one (since I’ll be at Full Throttle). Play a craft beer version of Hollywood Squares in Naked City’s Walrus Beer Garden, featuring an all star lineup of local brewers – and their beers flowing on Naked City’s taps. Compete for fun and prizes. Build your beer can racer and compete for glory and prizes. You can pre-build at home if you prefer, but your car must adhere to the rules listed on the event page or it will be disqualified. This is always a fun event. You can check out some video I got of the races during Seattle Beer Week #5 in 2013. Sunday the 13th is Mother’s Day so, whichever event(s) you attend, don’t forget Mom! In fact, why not take her out to breakfast at Brave Horse Tavern, where they’ll be hosting Kegs and Eggs, featuring limited release beers from Chuckanut Brewery paired with brunch specials from Brave Horse? Kegs and Eggs starts at 10 am and goes until 3 pm. Registration is required for this event which starts 1 pm at whichever brewery you’ve registered at. Your $40 entry fee includes a commemorative koozie and access to the awards ceremony at 5 pm. See the event page for more details. It’s a tap takeover with Varietal Beer Co. from Sunnyside, WA combined with The Brewmaster’s Taproom’s annual BBQ, with proceeds this year going to benefit All Mutts Great & Small dog rescue/rehab from Yakima. Take a Seattle break and come to the East side. The Brewmaster’s Taproom is dog friendly. This year’s theme is Yacht Rock. “Join Diamond Knot, Ninkasi, Fremont, Elysian, and others in a fierce tournament of mini golf.” This event runs from 1 pm to 3 pm and the cost for entry is $10. Email: josh.russell@diamondknot.com to reserve your spot. Monday the 14th brings a special all Washington event at Beveridge Place Pub. Join them all day long, starting at 2 pm, for This Is Washington Dammit! 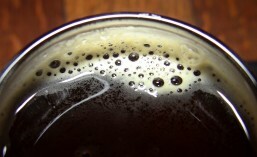 They’ll be tapping 35 different beers from 35 different Washington State breweries and offering $4 pints all day long. Also, their neighbor, Zeeke’s Pizza, will be offering any pizza for just $10 (only while you’re at Beveridge Place). Need a beer break? Dress in your best Hawaiian attire and join the crew from Cloudburst Brewing Company for a (hopefully) sunny afternoon and a Mai Tai. I hear they’ll have some awesome Cloudburst beers on tap too. Join Pike in a celebration of Women in the Northwest craft beer industry – as well as women-owned restaurants, cideries, wineries, cholatiers and more. Enjoy sips and tastes from over 35 local breweries, cideries, wineries, cheese makers, restaurants and more. The official beer being poured at this event will be the women brewed Pike Morning After Pale. You’ve made it to the halfway point. Still standing? Then why not come out to The Pine Box on the 15th for their popular event, Can You Handle My Randall!? They’ll be pouring 12 different beers through 12 different Randalls, each with a different infusion of ingredients. Keep an eye on their events page on Facebook for the lineup announcement. The Randalls start flowing at 4 pm. Come out to South Park, and the home of the 4th best burger in the nation (as chosen by Thrillist), to enjoy some beers from Seattle’s South End breweries, including: Seapine Brewing, Georgetown Brewing, Counterbalance Brewing (CBM Sponsor), Jellyfish Brewing and Lowercase Brewing. Beer and cheese were made to go together. Join Hellbent for a flight of four 5 oz beers paired with three great local, and not so local, cheeses. The cost for this event is $25. Come early though, because this event always sells out. If you’re going with a party of 6 or more, email: randy@hellbentbrewingcompany.com for reservations. How well do you know the TV show Friends? If you think you’re an expert, then come prove it by answering some tough trivia questions and, while you’re playing, enjoy a special 90’s taplist. More details are available here. When I was a kid and I went to the arcade, I was always more interested in playing the pinball machines rather than the video games. That’s why I’m thinking of checking out Pinball for Pups, which is taking place at Populuxe Brewing, The ICE BOX arcade and Bad Jimmy’s Brewing on Wednesday the 16th starting at 4 pm. The entry fee is $5 and the winning team will net a $150 cash prize. Sign up at Populuxe, The ICE BOX or Bad Jimmy’s. See the event page for more details. This may be Seattle Beer Week, but many of the wonderful beers I and many other I know enjoy are coming out of the Tacoma and Olympia areas. This event is about them and will feature beers from breweries like Matchless Brewing, Three Magnets Brewing, Engine House No. 9 and more. Ready to feel like a kid again? Visit one of Seattle’s hottest new restaurants and race Big Wheel bikes for big kids around a track The Shambles will have setup in their parking lot for fun and prizes. Between races, enjoy special beers from Oskar Blues Brewing, New Belgium Brewing and Left Hand Brewing. See the event page for more details. Are you a fan of German style beers? Which local breweries do you think do them the best? Come found out at these event where several local breweries bring out their best German beers, featuring Georgetown’s Rogerbrau Pilsner vs. Bitburger PIlsner. There’ll also be games like Hammerschlagen, Masskrugstemmen, Bimini, and more. Thursday the 17th brings along another one of my favorite annual Seattle Beer Week events, Sour Fest at Brouwer’s Cafe. This all day event is paradise for anyone who loves Sour Ales. Brouwer’s will have 55+ Sour Ales on tap from local breweries and from around the World. So pucker up and come join me at this amazing event. Doors open at 11 am. It’s beer and BBQ, what else do you need to know? Featured breweries on tap for this event will include: Urban Family Brewing, Skookum Brewery and Matchless Brewing. Come enjoy some beers and BBQ, meet the brewers and maybe even win some free brewery schwag. Come up to Lake City Way and enjoy some difficult to find on tap beers including kegs from Fremont Brewing (B-Bomb), Perennial (Abraxas), Crux (Freakcake), Founders (Barrel-Aged KBS), Belching Beaver, Holy Mountain, and more. Also, get 10% off all bottle shop purchases all day long. Have you ever had a gluten-free beer? Ghostfish Brewing Company makes some of the best gluten-free beers around. Come give them a try and have a great sandwich at Mammoth. Friday the 18th brings along a fun annual event at Beveridge Place Pub called the Bodacious Beverages Brewfest. They’ll have 25 rare and unusual beers on tap. The tap list for these event has not been posted yet, but Beveridge Place always makes sure it’s stellar. With so many good beers available, they encourage taster trays and designated drivers. The taps start flowing when Beveridge Place opens their doors at 2 pm. The staff at Toronado came to Naked City to brew The Old 48 Chocogasm Peanut Butter Stout with Naked City Head Brewer, Don Webb. Meet up at Naked City and travel with the first keg down to Toronado on the number 48 Metro bus for the official tapping. Urban Family Brewing Company is putting out some great beers, including some of Seattle’s best Sour Ales. Come out to Ballard Beer Company and enjoy some special Urban Family beers on tap and in bottles. The crew from Urban Family Brewing will be there and will be holding a raffle for lots of brewery schwag. It’s Saturday. You’ve almost made it! Just two more days to go. I bet you could use a good breakfast. Come on down to Full Throttle Bottles in Georgetown on the 19th for Pilsner Fest, Underberg and Breakfast Burritos, starting at 11 am. Some of the Pacific Northwest’s best Pilsners will be on tap and there’ll be plenty of Underberg and Mexican style green chile breakfast burritos from 505 Chile Cart. Featured Pilsners will be on tap from breweries like: Chuckanut, Heater Allen, Pfriem, Chainline, Grevensteiner, Matchless and more. What else do you need to know? This is the 4th Annual Naked Washers Tournament. You must play with a beer in-hand. Open play and lessons on how to play start at 1 pm and the tournament itself starts at 2 pm. Space is limited, so secure your spot by emailing: bryan@nakedcitybrewing.com to register your team. Don’t forget about all the find beers coming from the East side. Come up to Fiddler’s Inn and enjoy tap selections from Valley House Brewing, Post Doc Brewing and Chainline Brewing along with a delicious Salmon BBQ. They’ll also have live music with Lost Sailor at 8 pm. Fremont Brewing Company makes some of the best barrel aged beers around. Come out to Bottleworks and enjoy some of the best, including a Bourbon Barrel Aged Dark Star vertical (2015-2017) and Ancient One bottle pours. There aren’t as many event scheduled on this last day of Seattle Beer Week 10, but there are still several popular choices to help you recover and refuel. One of my favorites is the My Liver Hurts BBQ at Fremont Brewing Company. Enjoy tasty Fremont Brewing Company beers and free BBQ. That’s right. Free. Want to work off some of that beer instead of sitting down for breakfast? Then meet up at Rhein Haus for a non-competitive and mostly downhill run starting at Rhein Haus, then heading to the Nickerson Street Saloon and ending up at Stoup Brewing Company in Ballard. Your $20 entry fee includes bag check, commemorative schwag, a discount on drinks at each location and even at $10 Lyft credit to get you to/from Stoup. Sign up at rheinhausseattle.com. There you have it. Eleven days packed full of amazing craft beer events. The event suggestions I’ve listed here are only a small portion of the more than 240+ events happening during Seattle Beer Week 10, so take a look at the full list, consider my suggestions here, and make your plan of attack. My plans for Seattle Beer Week 10 are set, but I always allow for a little flexibility in case there are other events I want to check or, or I decide I need a mid-week break. Whatever your plan is, pace yourself and don’t overdo it. It’s a marathon, not a sprint. I’ll see you at some of the events I’ve listed here. This entry was posted in Admiral Junction, Aged, Ale, Annual, Arcade, Art, Arts, Award Winning, ballard, Barrel Aged, BBQ, Beer, Beer Garden, Beer Ingredients, Beer Labels, Beer Release, Belltown, Best Of, Bottle Shops, Bourbon, Bourbon Barrel, Branding, Brewing, Brewpub, Cans, Cask, Cask-Conditioned, Cask-O-Rama, charcuterie, Cheese, Chocolate, Cider, Citra, Citrus, Coffee, Collaboration, Contest, Craft Beer Bar, Craft Brewery, Cycling, Distribution, Dog Friendly, Doughnuts, Downtown, Draft, Events, Exercise, Experimental, Fest Beer, Festivals, Flight, Food, Food Truck, Fremont, Fruit Beer, Games, Georgetown, German, German Beer, Giveaways, Golf, Greenwood, Hazy, Hops, Imperial, Infusion, Interbay, IPA, Judging, Juicy, Lager, Lake City, Limited Edition, Local, Maple Leaf, Music, New England Style, New Release, Nitro, Oak, Olympia, On Tap, Pairing, Pale Ale, Phinney, Pike Place, Pilsner, Prizes, Promotion, Pub, Pubs, Raffle, Randall, Rare, Recipes, Renton, Restaurant, Roosevelt, Running, Seattle, Seattle Beer Week, SoDo, Sours, South Lake Union, South Park, Spring, Stout, Tacoma, Taproom, Taps, Tart, Tasting, Tour, Travel, Voting, Wallingford, Washington, Washington Beer, Washington Cider, Washington Wine, Waterfront, Welcome, West Seattle, Whiskey Barrel, Wine, Women In Beer, Wood Aged and tagged 2018, Annual, Ballard Beer Company, beer, Beer Release, Beveridge Place Pub, Bottleworks, Brave Horse Tavern, brouwers cafe, Cask-O-Rama, Cloudburst Brewing, Diamond Knot Brewing, Duck Island Ale House, Elysian Brewing, Engine House #9, events, festivals, Fiddler's Inn, Flying Bike, Full Throttle Bottles, Georgetown Brewing, Ghostfish Brewing, Hellbent Brewing, Holy Mountain Brewing, Loretta's Northwesterner, Lucky Envelope Brewing, Mammoth, Matchless Brewing, May, Naked City Brewery & Taphouse, Ninkasi Brewing, Ounces, Pike Brewing, Populuxe Brewing, Prost, Reuben's Brews, Rhein Haus, seattle, Seattle Beer Week, Sour Fest, Stoup Brewing, Stout Fest, Teku Tavern, The Brewmaster's Taproom, The Growler Guys, The Noble Fir, The Pine Box, The Shambles, Three Magnets Brewing, Toronado Seattle, Varietal Beer Company, Washington. Bookmark the permalink.